My brief time spent in Northern Taiwan introduced me to an incredibly friendly people who made me not want to leave the island. Everyone was remarkably helpful even if there was a big language barrier in place. As a stranger in a strange land, I never felt out of my depth with such understanding people around. And it can certainly be a strange land. 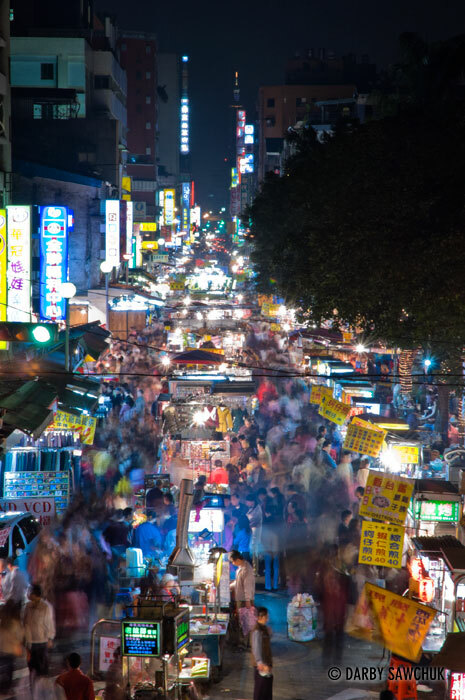 Nowhere is that more apparent than in Taipei’s Snake Alley Night Market where snake’s blood and other bizarre concoctions are available for anyone with a strong enough stomach to try them. 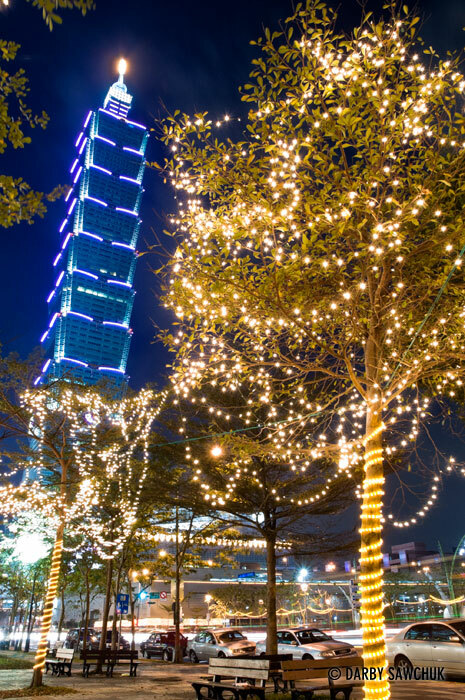 Towering over traditional sights like these markets or ancient temples is the enormous Taipei 101 and its surrounding shopping malls and business centres. 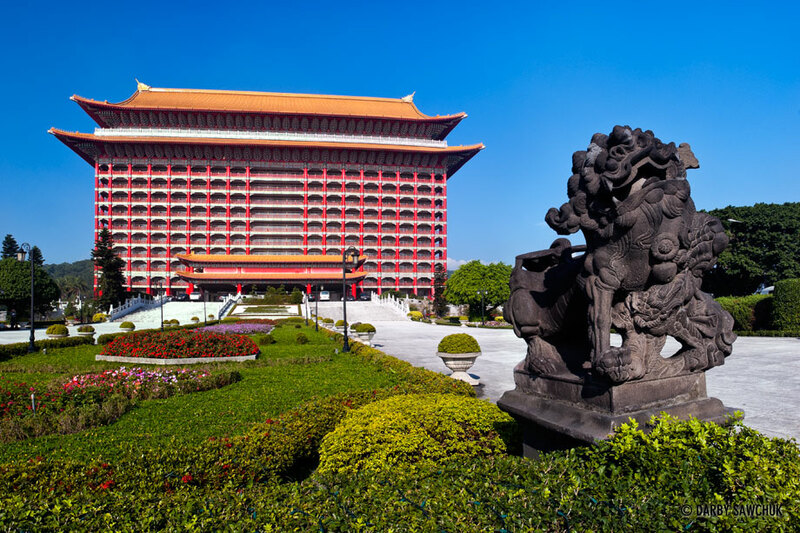 The modern and the traditional blend harmoniously giving visitors to Taipei the best of the old and new that Taiwan offers. And escaping the modern is easy enough. The countryside’s landscapes and smaller cities show off a Taiwan where glass and steel skyscrapers do not yet mingle with older customs. 01. 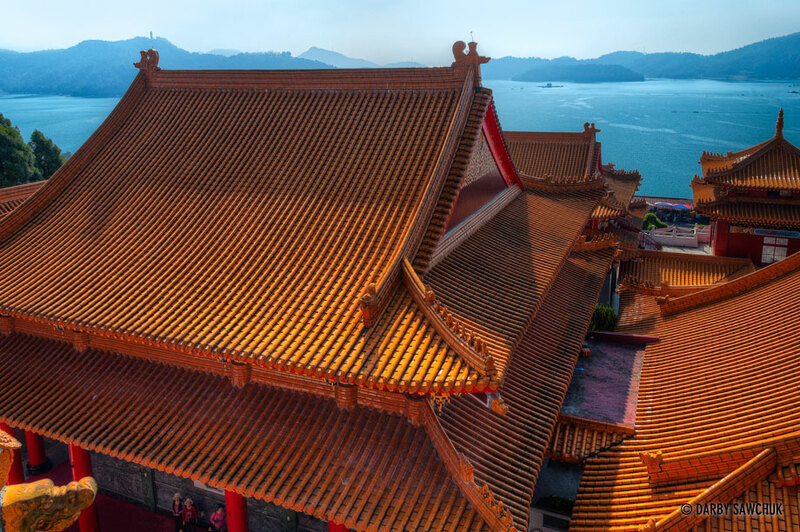 The orange roofs of Wenwu Temple overlooking Sun Moon Lake in Taiwan. 02. 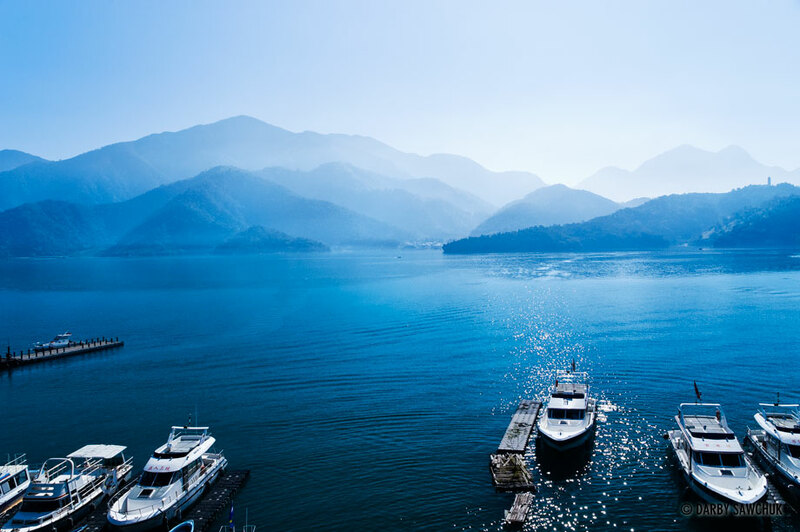 Boats docked in the blue waters of Sun Moon Lake, the largest lake in Taiwan. 03. 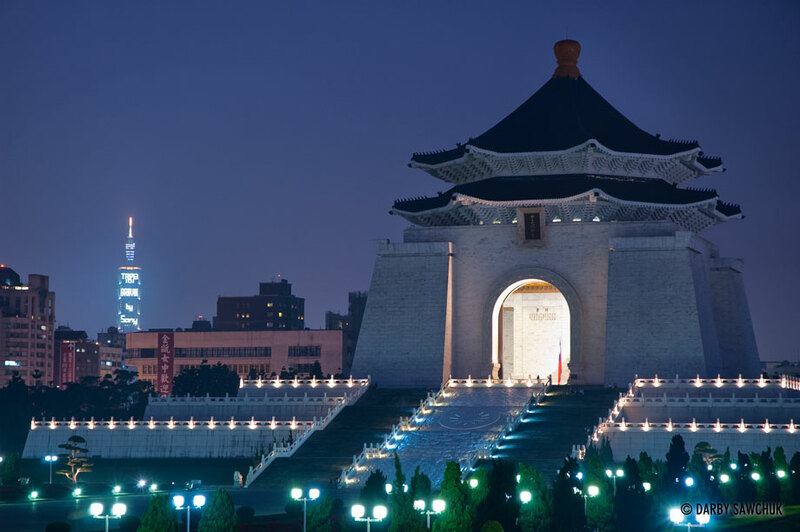 Evening at the Chiang Kai-Shek Memorial Hall with Taipei 101 visible in the distance in Taipei, Taiwan. 04. 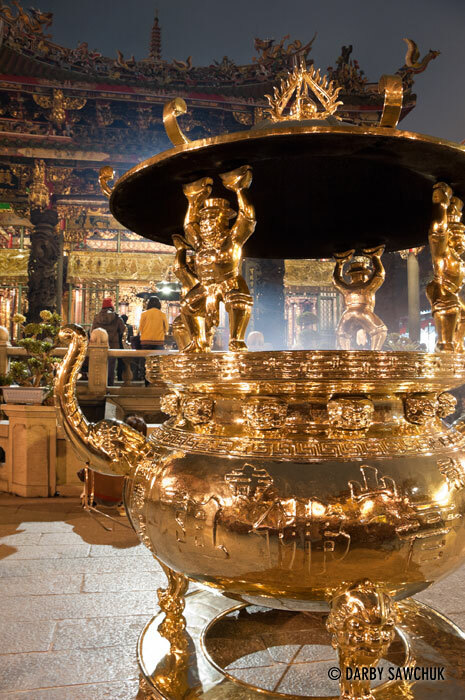 A golden incense pot in the inner courtyard of Longshan Temple in Taipei, Taiwan. 05. 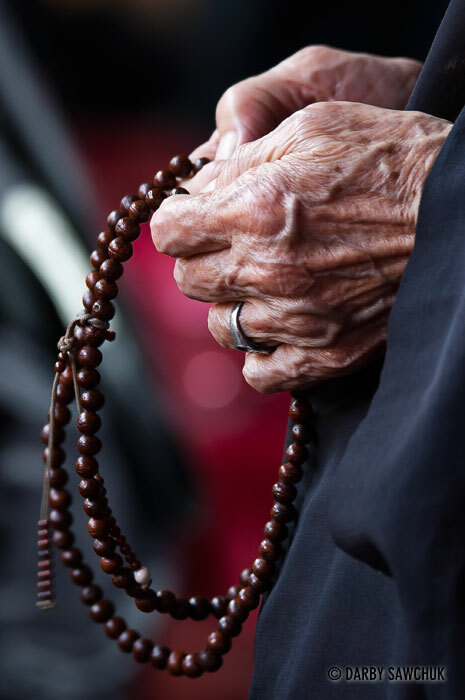 An elderly woman holds prayer beads at Longshan Temple in Taipei. 06. 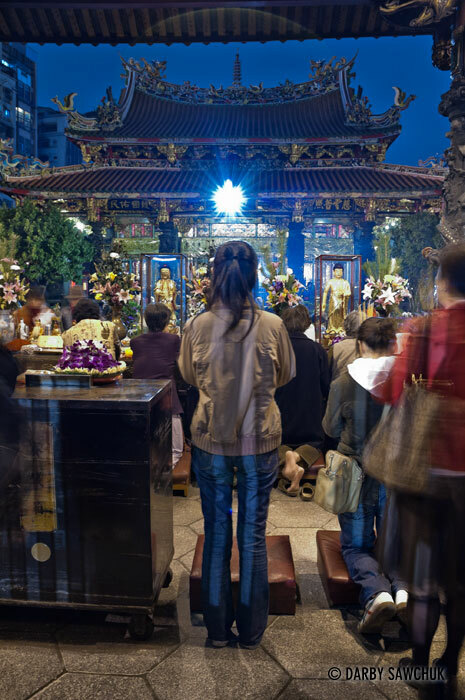 Worshippers pray at Mengjia Longshan Temple in Taipei, Taiwan. 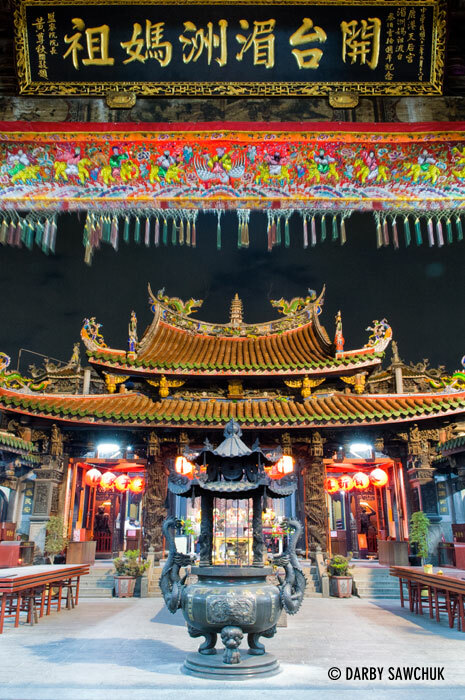 The temple worships a mix of Buddhist, Taoist and folk deities. 07. 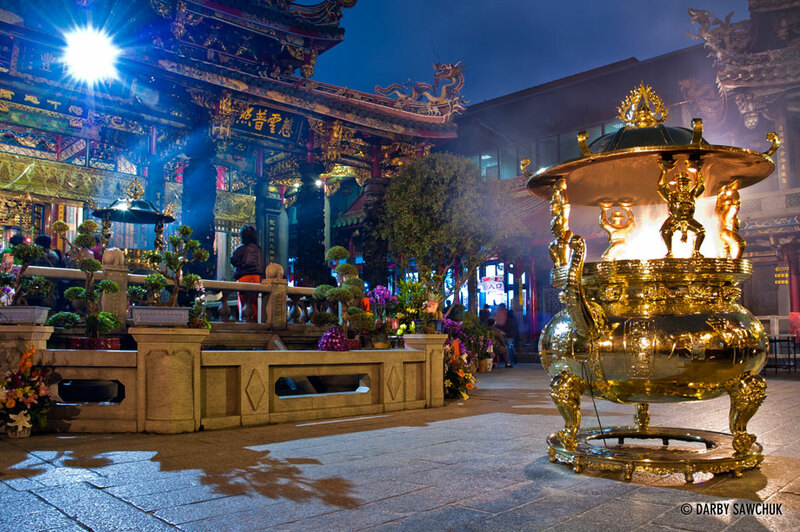 A golden urn where incense is burned in the inner courtyard of Longshan temple in Taipei, Taiwan. 08. 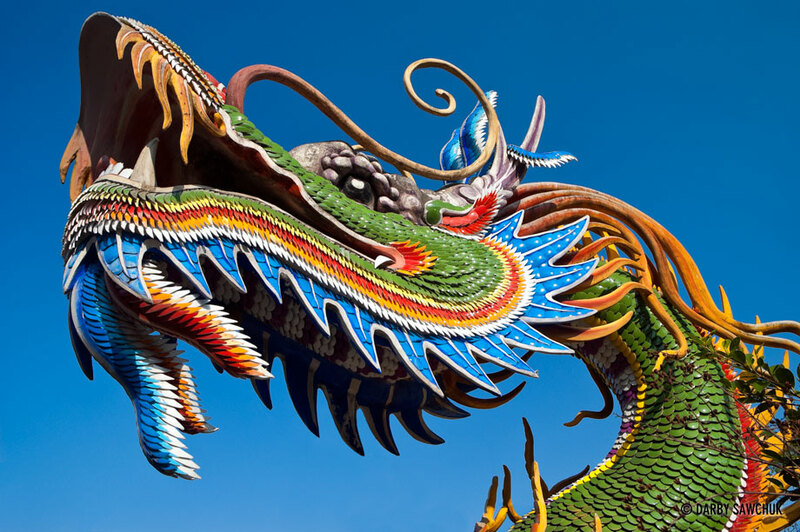 A colourful Chinese dragon sculpture at the taoist Bao-An Temple in Taipei, Taiwan. 09. 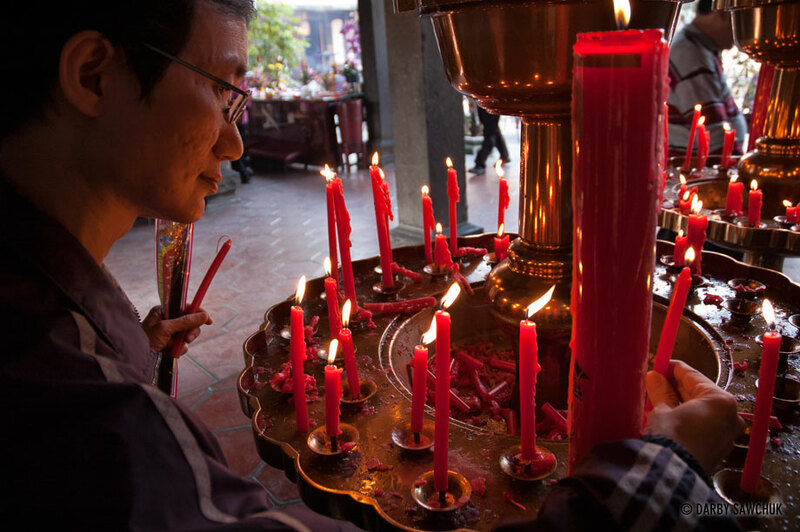 A worshiper lighting candles at the taoist Bao-An Temple in Taipei, Taiwan. 10. 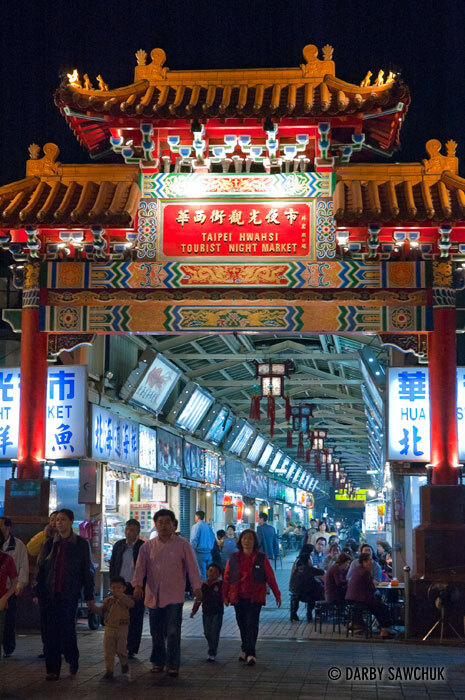 The Chinese arch at the entry to Snake Alley Night Market in Taipei. 11. 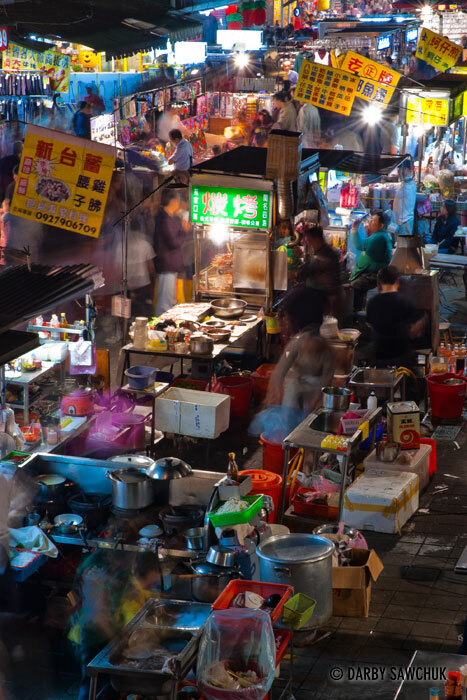 Food vendors prepare meals for patrons of the Snake Alley Night Market in Taipei, Taiwan. 12. 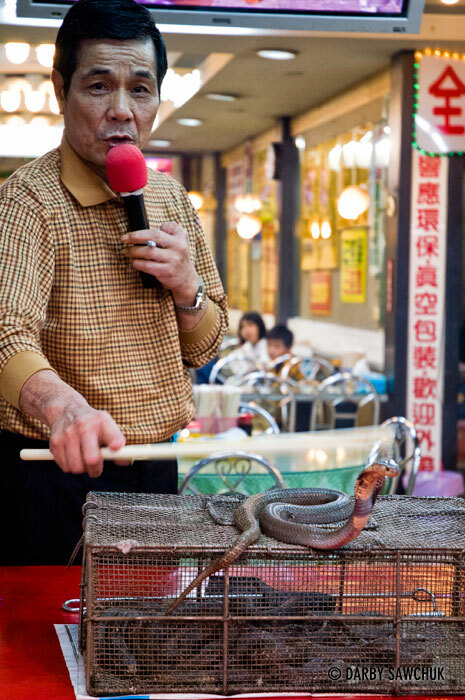 A snake handler with a cobra at the Snake Alley Night Market in Taipei, Taiwan. 13. Crowds inspect the wares on sale at the Snake Alley Night Market in Taipei, Taiwan. 14. 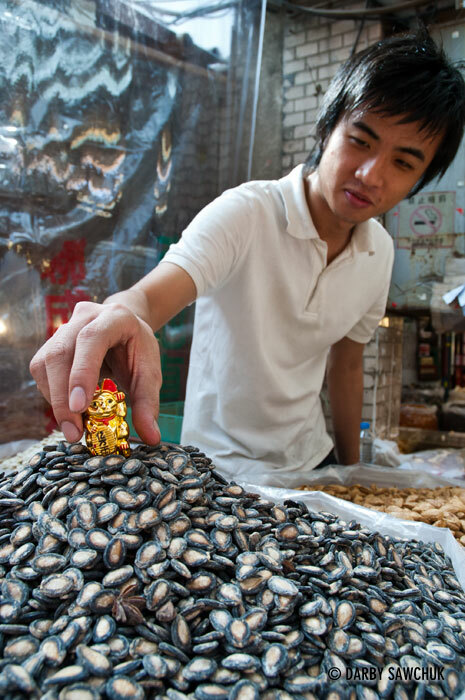 A vendor placing a lucky cat charm on his sundries at Dihua Street Market in Taipei, Taiwan. 15. Taipei 101, formerly the world’s tallest building in Taipei, Taiwan. 16. 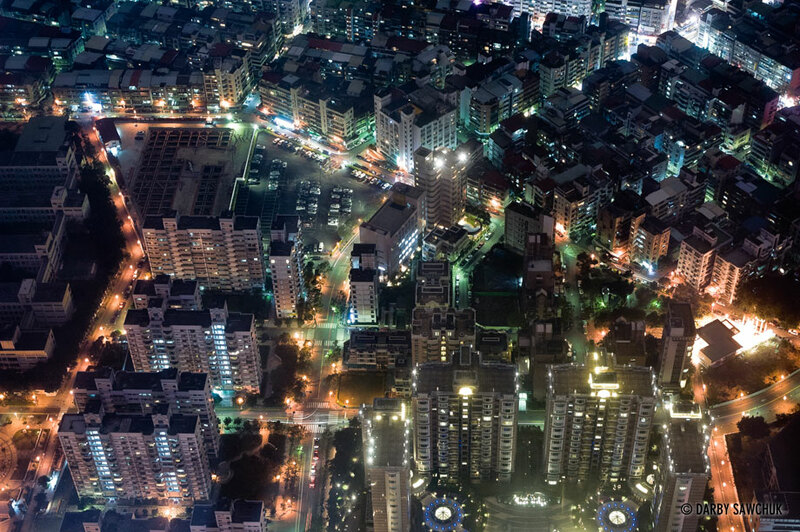 Apartment blocks in Taipei as viewed from high above on the top of Taipei 101. 17. The Grand Hotel in Taipei. It is the world’s tallest Chinese classical building. 18. 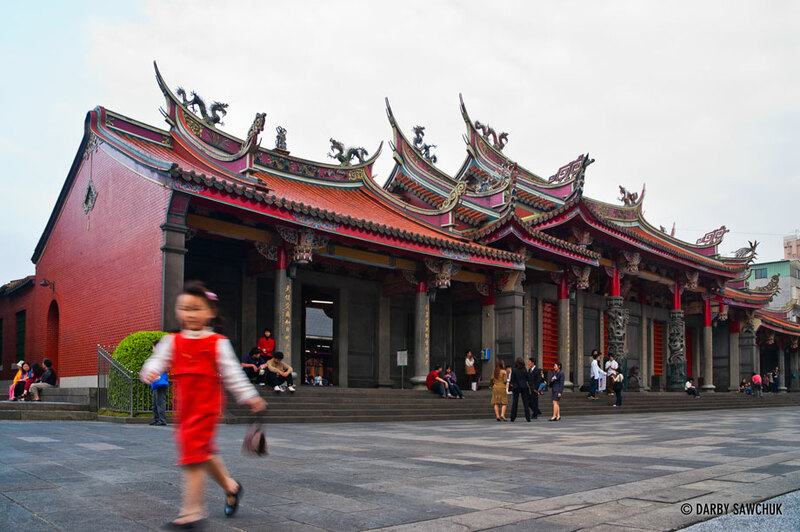 A young girl walks past the front entrance of Xingtian Temple in Taipei, Taiwan. 19. 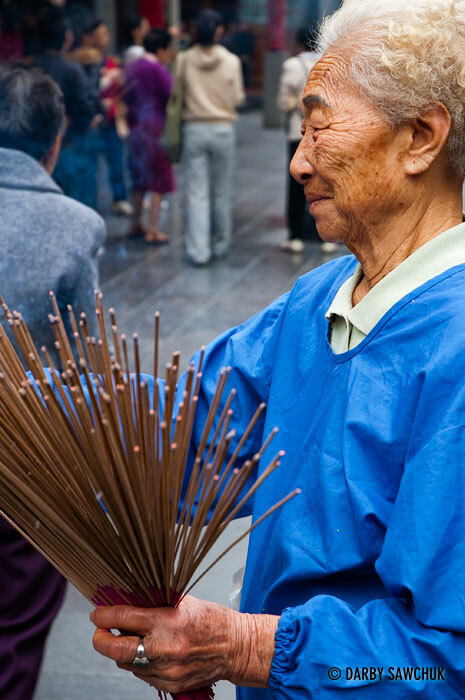 An elderly woman hands out incense sticks at Xingtian Temple in Taipei, Taiwan. 20. 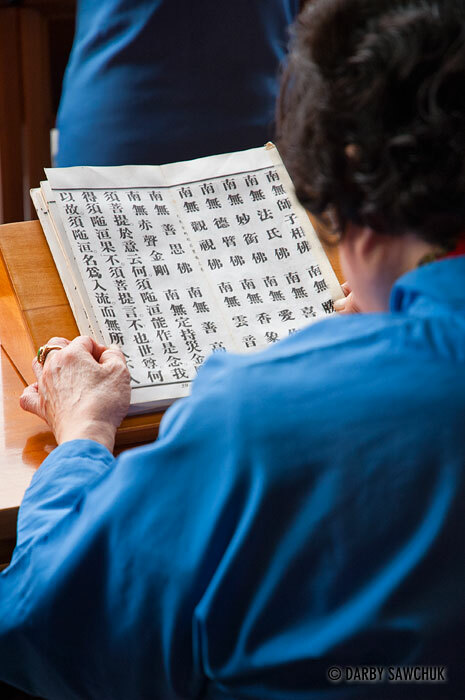 A worshiper reads Chinese script at Xingtian Temple in Taipei, Taiwan. 21. 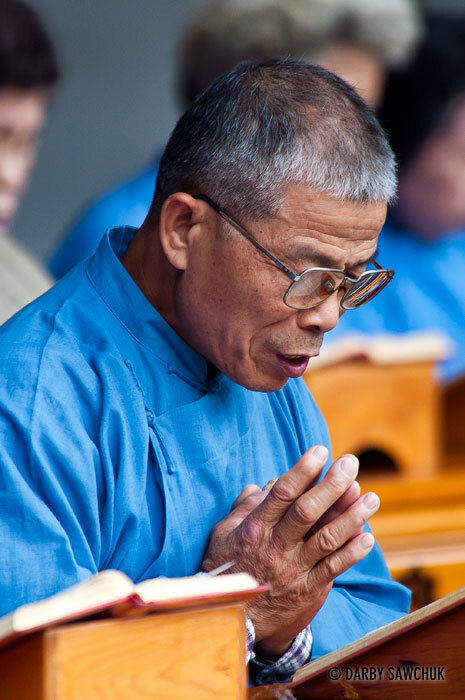 A worshiper prays at Xingtian Temple in Taipei, Taiwan. 22. The inner courtyard of Tienhou Temple in Lukang, Taiwan. 23. 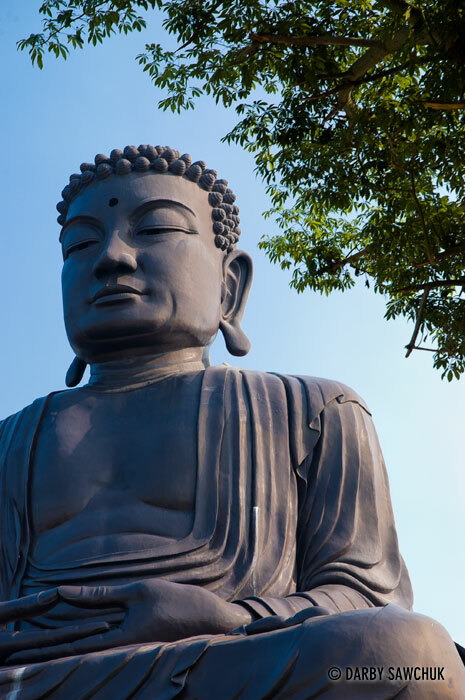 The 22-metre tall Great Buddha Statue on Bagua Mountain in Changhua, Taiwan. 24. 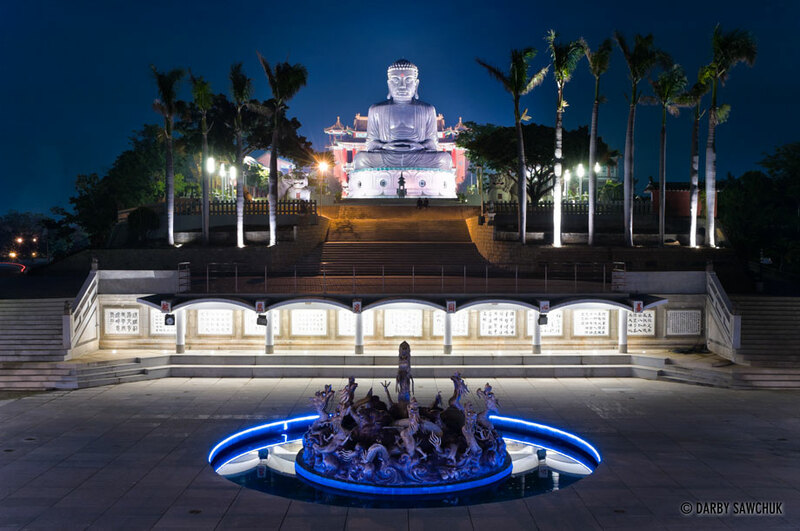 The 22-metre tall Great Buddha Statue on Bagua Mountain with the Nine Dragons Pond in the foreground in Changhua, Taiwan. 25. 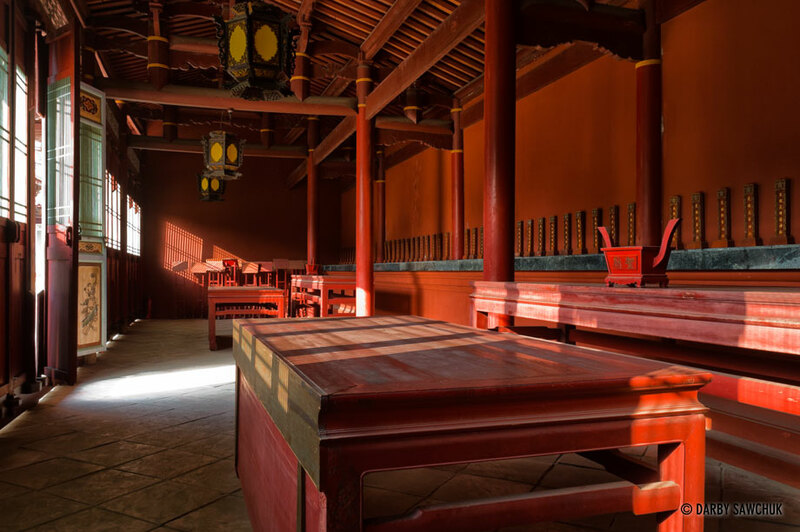 A red-painted hall inside the Confucius Temple in Changhua, Taiwan. 26. 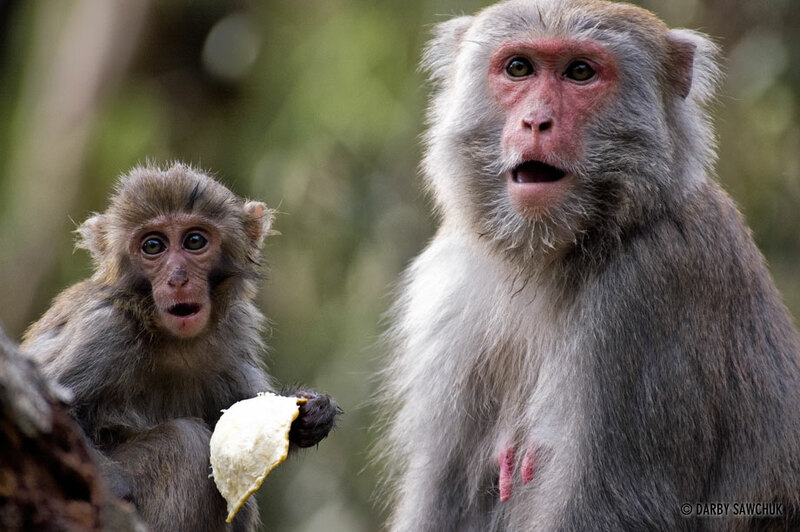 Mother and child Formosan Rock Monkeys, also known as a Taiwanese Macaque, near Ershui, Taiwan. 27. 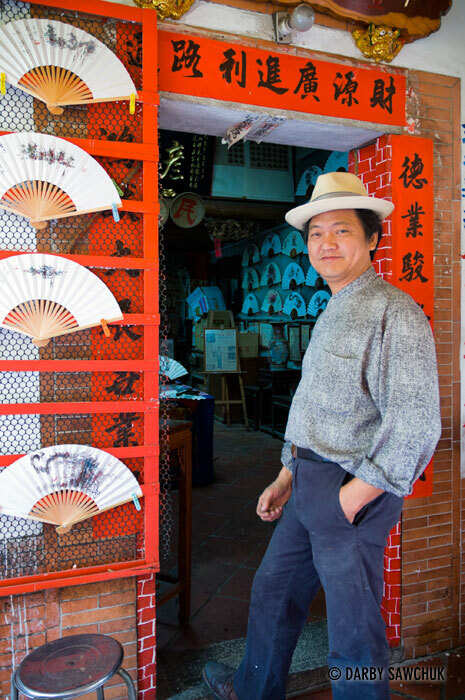 A merchant selling decorated Chinese paper fans on Old Market Street in Lukang, Taiwan. 28. 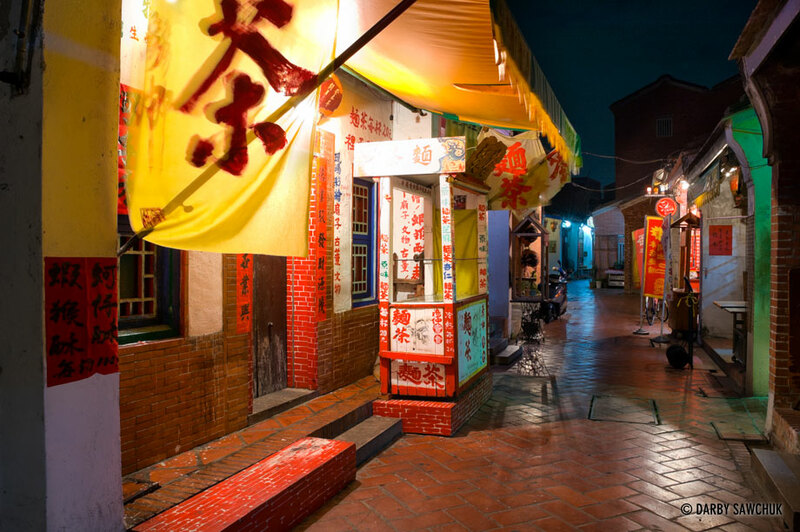 The historic Old Market Street at night in Lukang, Taiwan. 29. 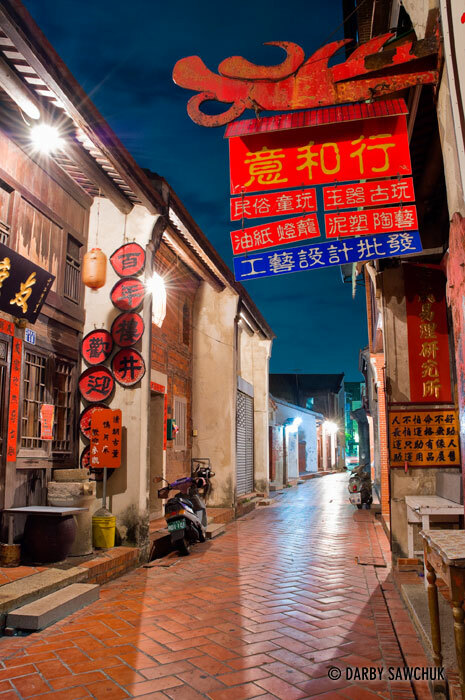 The historic Old Market Street at night in Lukang, Taiwan. Keywords: photos of taiwan, images of taiwan, pictures of taiwan, taipei, northern taiwan, china, chinese, landscape photography, travel photography, architectural photography, fine art prints, stock photography.